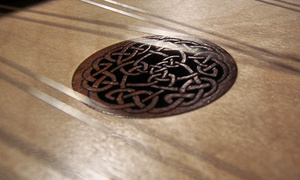 TK O'Brien is a provider of U.S. made handcrafted hammered dulcimers. He has been providing quality folk instruments and accessories to web shoppers since 1996. "We have considered plans that would include adding some space for visitors to come by when visiting in our beautiful mountains. 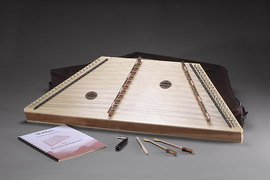 "Our mission is to provide durable, affordable Hammered Dulcimers that are both good looking and good sounding. We stand behind all our products". Making music often helps us express ourselves in ways that words alone sometimes can't. Yet many people feel that they can't take part in making music because they're intimidated by the notion of learning to read music. But there are instruments that do not require you to read music in order to play them. 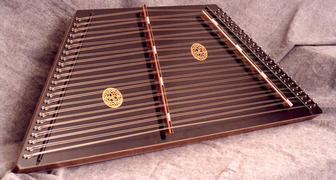 Hammered Dulcimers are limited only by the players imagination. It is more than a possibility to consider yourself playing an instrument even if you don't want to learn to read music. We only sell dulcimers that we could pleay ourselves.